Podcasts are increasingly popular and new ones are set up all the time. People like being able to listen to them on the go, while walking the dog or making dinner. They can cover broad topics like business and health, or narrow subjects such as self-publishing and budget travel. Encouraging listeners to subscribe to your show means they come back every week to hear you. It also allows them to get to know you better, to trust the advice you give them and choose you when they’re looking to buy a product or service. People often choose to create podcasts because they don’t enjoy blogging and they prefer the personal touch audio brings. Creating ‘seasons’ – several episodes on a particular theme – encourages listener loyalty and allows the host to go into greater detail on their area of expertise. A podcast can be as long or as short as you like, although 30 to 45 minutes seems to be the preferred length. More than an hour and you’re asking a lot from your listeners. You can create solo shows, where you talk about different aspects of the topic, or have guests. An interview style allows you to interview other experts in the field, giving great value to your audience and making it easier for you – you don’t have to come up with all the material yourself. The most important thing is to commit to a regular day and time, and then make sure you show up. Your audience is expecting you to deliver value, so don’t disappoint them. If you’re worried about not always being free or what to do if an emergency crops up, you can batch your shows – pre-record several and have them scheduled to go out at a set time. This is another reason to consider seasons, too – you can be ‘off-air’ for a period while you have a holiday, work through busy periods or record your next show. 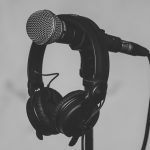 Anyone can be a podcaster, and lack of experience isn’t a barrier. You can invest in expensive equipment if you want to, but it’s certainly not a requirement. A show can be recorded on your smartphone, a Dictaphone-style recorder or over Skype or Zoom. The key is to make sure the audio is crystal clear, so be aware of background noise or wifi signal dropping out if you’re recording online. 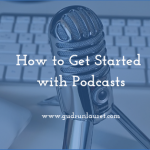 You can also edit your podcast for free using a tool such as Audacity. As you grow your audience you might want to look at investing in microphones, software and outside professional help. This post on making more of your podcast might help. In terms of content marketing, podcasts are great. If you share your show on multiple apps and platforms, you increase your chances of being found by new audiences. Once you’ve recorded a few, you’ve got a bank of useful resources you can share, and leverage to find bigger and better guests. Anyone can create a podcast on any topic. You don’t need experience or specialist equipment, just get started. Make sure you share links, audio snippets or key quotes in graphics across your social media platforms. 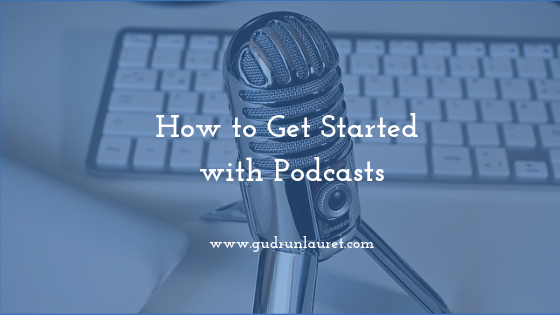 It’s also possible to embed the audio onto your website, depending on which tool you use to publish your podcast. Doing so means you’re driving traffic back to your site and encourages people to look around. Create a dedicated page for each episode and include the show notes, transcript and blog (more on all of these over the next few weeks) on the page too.